For the third time in a row: BeeSite® has been named the “Best Applicant Management Software of 2018”. For customers, the solution optimally fulfils key everyday needs. According to over 900 study respondents, the solution fulfils a majority of key criteria. BeeSite® honoured in its category once again with over 501 hires per year. Provider milch & zucker takes the coveted award for the third time in a row. Punkteskala von 1 (sehr schlecht) bis 4 (sehr gut). Gießen, 08/10/2018 – Over 900 customers have cast their votes for Germany’s “best applicant management systems”. The BeeSite® Recruiting Edition from milch & zucker has been repeatedly rated as excellent and won first place in the category “Companies with more than 501 recruitments per year”. In addition, the recruitment solution was also awarded “very good” in the category “Companies with 101-500 recruitments p.a.”. During data collection, a total of 25 functions were judged by the customers and their importance in daily use was indicated. BeeSite® was able to achieve very good assessment results in many functions classed as important. The software placed providers such as SuccessFactors, Umantis and Taleo at the bottom of the ranks. The ICR publishes the results each year in its “E-Recruiting Software Report”. 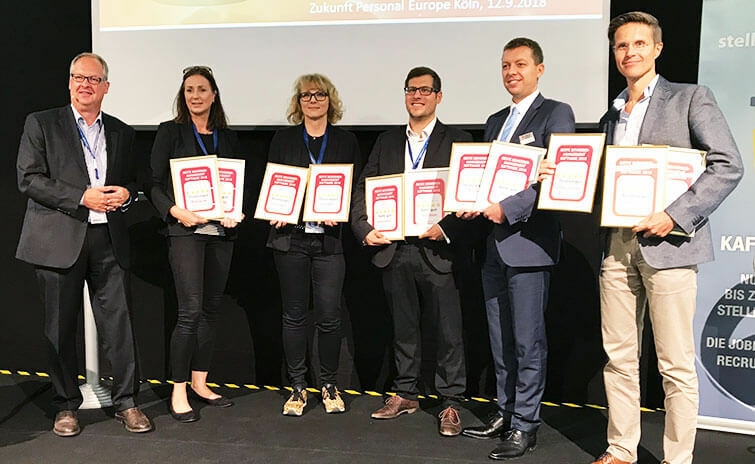 Awarding the quality seal for Best Applicant Management Software 2018 at Zukunft Personal, Cologne Wolfgang Brickwedde, Director ICR, Tania Teetz, milch & zucker Product Manager, and other prize winners. The topics of data security, user friendliness and applicant management are the most important ones for recruiting experts. They are least satisfied with functions for candidate searches in external sources, providing key figures, and functions for comparing candidates. In terms of data security, BeeSite® received the highest satisfaction rating among all of the providers. Ingolf Teetz, CEO of milch & zucker, explains: “This shows that German-made software, our hosting concept in Germany and the efforts made by the computer centre and the entire company for ISO 27001 certification have borne fruit.” With regard to user friendliness, BeeSite® achieved above average values. According to Teetz, the focus at milch & zucker in future product development will be further improving user experience. The BeeSite® achieved good ratings – as in previous years – in both receiving applications and processing applicant data. The system supports and administrates a large number of applicants to certain vacancies as well as the highly individualised care of applicants with high potential. Overall, regarding the functions that they were unsatisfied with, customers assessed BeeSite® functions less critically than those of other providers. In terms of the possibility to compare candidates, milch & zucker achieved the highest level of satisfaction among all the providers in the survey. 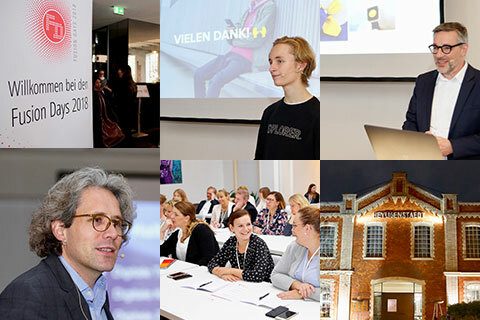 Since 1998, the multi-award-winning milch & zucker – The Talent Acquisition & Talent Management Company AG has been developing software and marketing solutions for a consistently positive candidate experience. Employer branding is the basis for targeted recruiting: milch & zucker develops strategic employer brands, designs and produces employer communication and sharpens all recruiting processes. The BeeSite® range of products offers recruiting software for both largely standardised mass processing as well as for individual talent relationship management. milch & zucker offers all of the necessary services, from technical solutions, to the planning, layout, text, set-up and performance assessment of job advertisements. Additionally, milch & zucker provide consultation while the processes are drawn up and supervises everything, from the implementation of entire software modules to training and support.